If you're reading this, then you are still having some problems understanding what these are. They are Wood Elf ears. You put them over your ears with the included safe adhesive. Then you walk around looking like a wood elf (or at least a person who has put on Wood Elf ears). 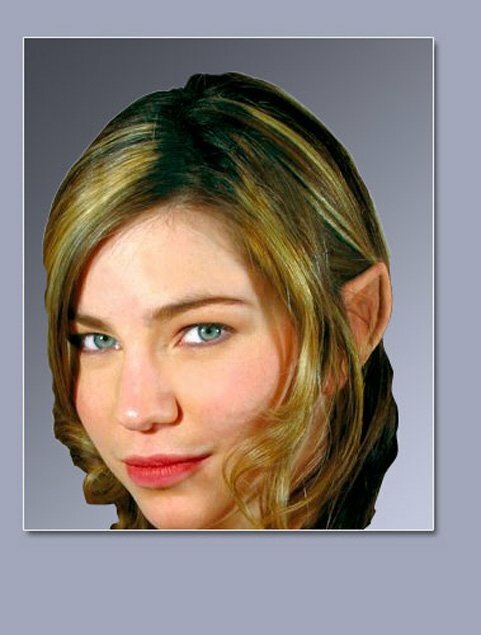 These are not to be confused with elf ears, you racist, cultural troglodyte. These are Wood Elf ears. Much different than the normal elf ears. But you don't care, do you? I can just hear you now; "Oh, all those elves look the same to me." For shame. To think that such sentiments still abound in the 21st century. These wood elf ears are made from latex or some such material and look like Wood Elf ears. An officially licensed product of the Wood Elf Ear Federation. They are Wood Elf Ears. Find a wood elf and measure his or her ear. That will be fairly accurate. Except that these ones are made from latex.